Before a candidate can participate in any classroom placement, they must have received moral fitness clearance from the CTC. 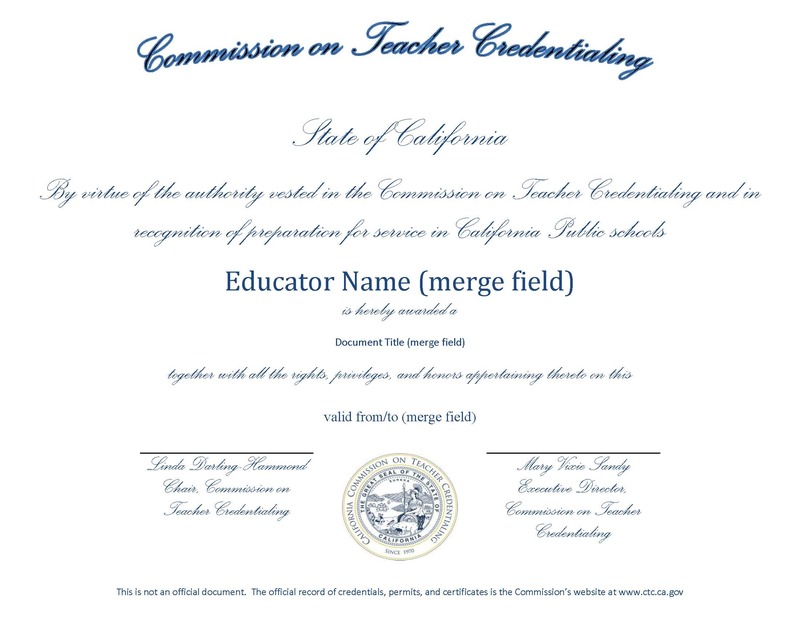 That means that a CoC or other credential or permit must be ISSUED by the Commission in the student’s name prior to the beginning of ANY student teaching course. It is best to complete the process as soon as possible after beginning the program as some school sites may require the student to have CTC clearance to visit their campus. Instructions for how to find your credential record can be found at this link. Remember that this is an admissions requirement. You must supply the Department of Justice (DOJ) and the FBI with your fingerprints by the Live Scan process, using the appropriate CTC forms. You can contact the DOJ on the web at http://ag.ca.gov/fingerprints/publications/contact.php for information about sites which offer the Live Scan service in the Bay Area. 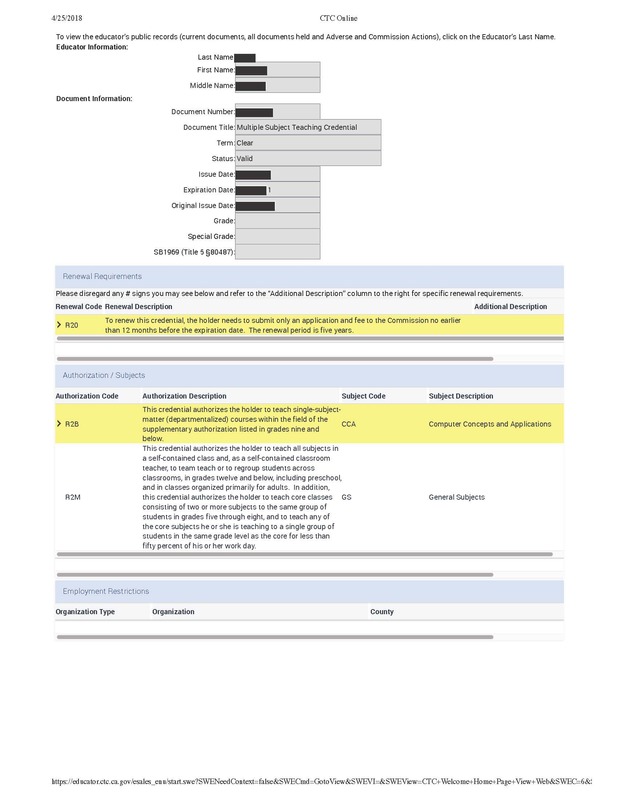 If you have any “yes” answers to the moral fitness questions, and would like to discuss strategies for how to respond to the questions in a way that will allow your application to move through the process in a timely manner, please make an appointment with the Credential Analyst to have a confidential conversation.